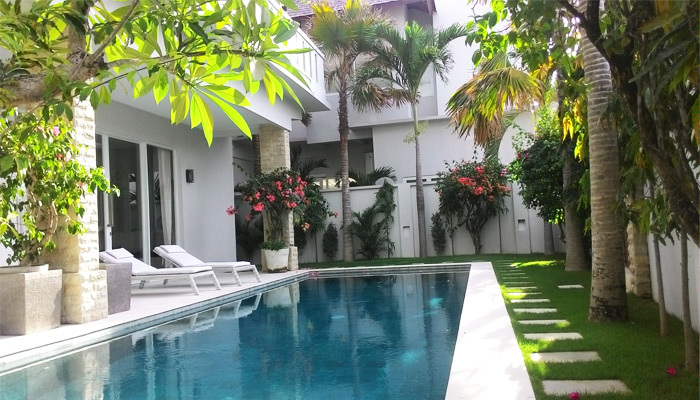 This large and luxurious Freehold Real Estate offers more than 450m2 of the ground floor. 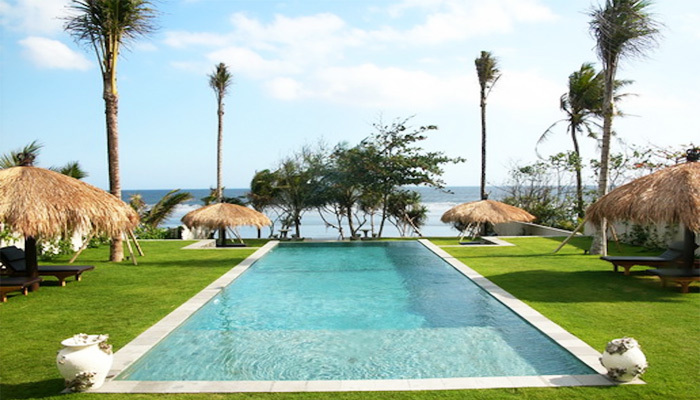 It is located in the fashionable area of Berawa, just 3km from the beach. You will find many cafes and trendy restaurants nearby. 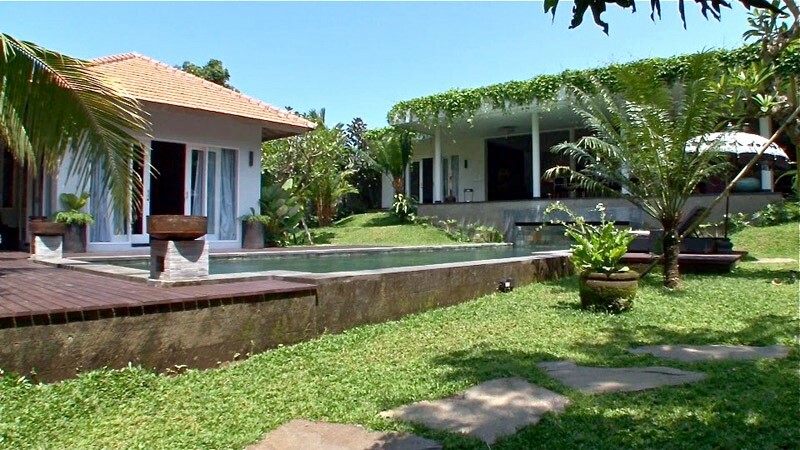 Built on a large plot of 1000m2, this luxury villa has 3 bedrooms with en-suite bathrooms, a large living room of 120m2 overlooking the garden and pool. On the top floor, there is a very nice office with stunning views over the rice fields.